Some background information about the area. Sapphire, a rural town of 550 people, is 280 km west of Rockhampton and 40 km west of Emerald. It has been the main town in the Anakie Gemfields, an arc of mining country west of Emerald which includes Willows and Rubyvale. 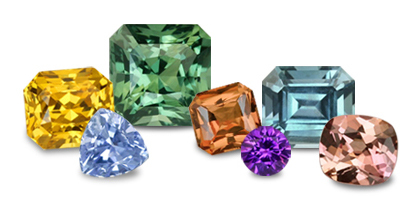 In 2001 Rubyvale’s population equalled Sapphire’s. In the early 1870s sapphires were found at Retreat Creek, a watercourse between Sapphire and Emerald that flows into the Nogoa River. Mining at Retreat Creek began in about 1890 and a population centre developed. A provisional school, named Sapphire, was opened in 1904, and henceforth the locality was known by that name. There was already a hotel there, the Kitchener Hotel, having been removed from Comet in 1903. Basic amenities were established, a first aid station, a hall, a cemetery and a racecourse. Anakie emerged as the gemfields’ civic centre, with the primary school, multi-purpose centre (1994) and a basic medical service. Population growth, however, required the connection of electricity to Sapphire (1977) and reticulated water (1998), despite some residents being contentedly self-sufficient. Sapphire has the gemfields information centre, accommodation for tourists and fossickers and a jewellery manufacturer. I pulled into this sandy caravan park/camping ground to be greeted by Cheryl & Graham, the managers, who walked me around the site to choose where I would like to park for the night. I needed to power up my lantern, computer, phone, camera….. It was a fairly basic park but the facilities were very clean and there was plenty of room to move. Not only that but they sold buckets of fossicking gravel for $8 and I thought this might be my only chance to fossick for sapphires. I had spoken to one of the other residents there who fossicked a lot and she said there was not much around at the moment and she was thinking of buying a bucket herself! To actually fossick you need to dig down to the ancient creek beds, or you might be lucky enough to find sapphires in the stuff other people had already dug up and discarded. The bucket for $8 was an easy option and would give me an experience that I was otherwise unlikely to have. Everyone else in the camping ground were fossickers and they were more than keen to help me, showing me how to sift the clay from the gravel then wash it through so that the bigger rocks sat on the top sieve and the little ones went through to the finer sieve at the bottom. You sat the sieves in a big wash trough and levered them up and down until the clay washed off. If you did it really well the sapphires tended to fall to the middle at the bottom as they were heavier than the other stones around them like quartz and what they called “pet rocks” – pretty to look at but worth nothing. There was about 4 loads of washing in a bucket and out of the first 3 siftings I picked up a few little chips of sapphire (as well as some pet rocks!) and then when I did the last sift I picked up about a dozen little sapphires – probably not worth much but the experience was worth heaps. The sapphires are easier to find when the sun is out because compared to all the other stones in the sieve they shine and look like glass. I’m sure when I’d finished all those who were helping me went back over everything I’d discarded because I really didn’t know what I was looking for and probably missed some. I could become addicted to this, so was glad when Lorrie, Pam, Lawrence and now Richard turned up to drag me off to our next destination. It wasn’t far up the road, about 20kms, at the town of Sapphire. (Another free camp). I had to laugh when I saw it was in Flagon Alley – seemed appropriate as Happy Hour is very much a part of travelling on the road. Home to Gemfest, the Sapphire Gemfields covers almost 900 square kilometres of one of the world’s most significant sapphire-bearing grounds and takes in the delightful townships of Anakie, Sapphire, Rubyvale and The Willows. Located in Central Queensland, the Gemfields are only four hours west of Rockhampton on the Capricorn Highway. People from all over the world descend on the Gemfields each year to experience fossicking firsthand and try their luck in finding the ultimate gem discovery. If it’s treasure that you’re seeking or the opportunity to experience a real-life fossicking town, the Sapphire Gemfields has it all with its array of gemshops, galleries, jewellers, underground mines and digging areas. Fossicking parks are great fun, where miners supply sapphire ‘wash’ for a fee and teach you to recognise and find sapphires. (This is what I did at the Anakie Caravan Park.) The area is also rich in history, character and charm, and driving around it’s easy to imagine how commercial mining drove the town from the late 1890s. Once a burgeoning market right up until the early 1980s, a downturn in Australian sapphires brought about an active tourist industry in the area. Indeed, some of the world’s most famous sapphires have been found in The Willows Gemfields. Want to go fossicking? Click here for good information about areas and if permits are required. Categories: Travelling | Tags: Anakie, campervans and motorhomes, camping, fossicking, gemfields, sapphires | Permalink.